The 9913DA-AES110-RG 110-Ohm (Balanced) AES/EBU Distribution Amplifier with Remote Gain Control is a broadcast-quality AES distribution amplifier that provides up to eight copies of the input AES/EBU signal. 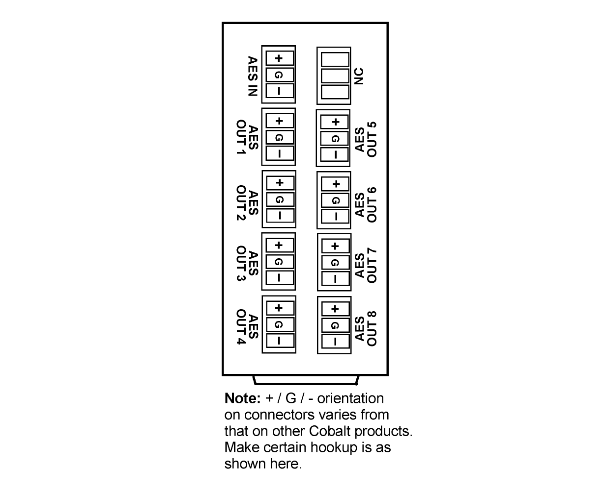 A transformer-coupled input helps prevent ground loop and other grounding-related problems. The 9913DA-AES110-RG supports audio sampling frequencies from 32kHz to 96kHz. Cable equalization and reclocking techniques enable the 9913DA-AES110-RG to recover the incoming digital audio signal reliably. The 9913DA-AES110-RG also includes built-in loudness measurement, with ITU1770 LKFS loudness measurement displayed in DashBoard. A built-in DSP allows mono-mix and L/R-only outputs (these functions can be locked out for Dolby® signal processing). The DSP attenuation function allows overall gain (stereo ganged) trim (offset) via DashBoard™ remote control. 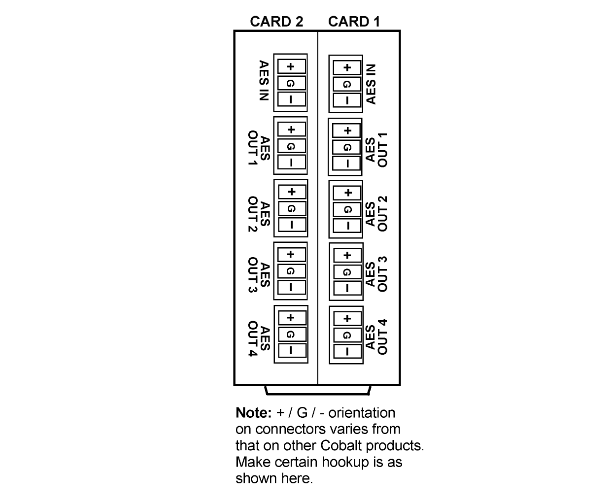 The space-saving design and very low power consumption of the 9913DA-AES110-RG provides for high density, allowing two cards to be collocated in adjacent slots and served by a single, standard-width “split” rear module. You are currently requesting a quote for 9913DA-AES110-RG.